In fibromyalgia, various types of pains like jaw pain are quite common. But when do we get to know when it is something more? Are jaws issues also occur when we are dealing with fibromyalgia? Do we get some disorders if we don’t get careful about them? 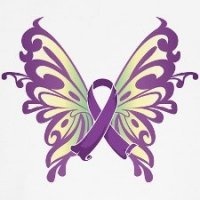 What kind of stress and pain do you suffer from while having fibromyalgia? We are going to look at the relationship between Fibromyalgia and Temporomandibular Joint Disorder in this article. Both of these disorders can occur together, so it is important to know which things you have to look for and what are the issues that can come along with one or other disorders. As we all know that our jaw is attached to our brain in many ways. Temporomandibular joints are one of these ways. Different tendons and muscles are connected with these joints for the proper functioning of the mouth (opening and closing of mouth). These tendons and muscles function without any issue, but if some issue arises and they start getting hurt or don’t work properly, it is supposed to be a temporomandibular joint disorder, TMJ. Causes- no cause has been found yet, but doctor considers a lot of reasons for TMJ to start. In some cases, it is linked with anxiety like you start clenching your jaw or do some unusual motions whenever you are nervous, due to which it makes it difficult for you to move your jaw. A lot of pain can also develop TMJ, as you find it difficult to move your mouth properly. It is also related to stress in some cases. The symptoms of stress are very much similar than anxiety. TMJD can also be caused due to Rheumatoid arthritis because of the difficulty in moving joints as they move before. Having diagnosed with TMJD is not necessarily huge. You will feel just a minor pain related to jaw issues in some cases. While in other cases, your pain can be severe and overwhelming due to which you can suffer from headaches and you can’t even move your jaw for any reason. Different treatments are given to every person as it depends on how much pain you are having. Why, people having fibromyalgia find more problems with their jaws and on the top of that how fibromyalgia patients end up having TMJD as a result of it? As fibromyalgia related things are not confirmed yet, so the answer to this question is also not confirmed why it occurs. TMJ can also be caused while having chronic fatigue syndrome, which is related to fibromyalgia in many circumstances. A lot of theories are there. It is indicated by some researchers that TMJD, fibromyalgia and chronic fatigue syndrome may fall under those disorders that are newly classified and referred as sensitivity syndromes. In simple words, all these syndromes deal with the central nervous system and may affect somehow. Still, there are some questions that arise about how disorders come about. It’s all about where they are present, rather than the cause of disorders. Another reason is there that people having fibromyalgia may also suffer from issues that occur due to TMJD as well. As we all know that, fibromyalgia can make people sensitive towards all types of pain. So, it doesn’t matter that the pain arises from TMJD is not so severe, because fibromyalgia will even make that pain severe and worse. Thus, you will be more sensitive to what is happening in your body. You can be frustrated due to it, but this theory does make sense. While you are already having so much pain, so it gets difficult to diagnose TMJD. But, certain things are there you can search for that doesn’t usually happen while having fibromyalgia. For instance, headaches are usually occurred already (and headaches are common in TMJD as well). But, if you start noticing your jaw pain that it is clicking or you are unable to move your mouth as you were before, perhaps, it is not a fibromyalgia symptom. It is a jaw issue and usually occurs with TMJD. Locking jaw, the improper lining of teeth, difficulty in chewing all foods are some other symptoms of TMJD. There are some cases in which the symptoms of TMJD won’t stick for a longer time, while in some cases they occur for a longer time period. You need to consult your dentist if you have concerns about dealing with these issues. You can also take advice and guidance from your fibromyalgia doctor. Issues of jaws are quite common but is doesn’t mean that you should ignore these issues. You should pay attention to these issues and get them checked out as early as possible. Maybe, they are a sign of something huge or they show up some other problems as well.